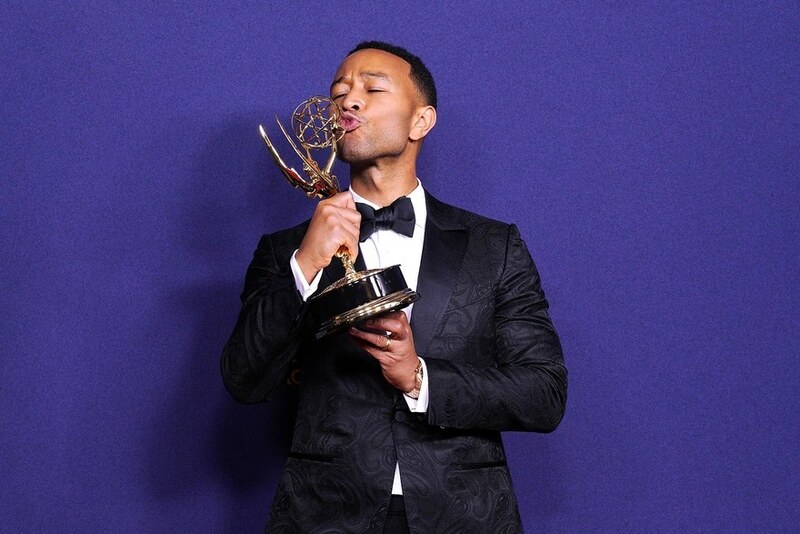 Singer-actor, John Legend won an Emmy at the Creative Arts Emmy Awards on Sunday in Los Angeles, along with Andrew Lloyd Webber and Tim Rice for producing the best variety special winner, ‘Jesus Christ Superstar Live in Concert.’ At 39, Legend is one of the youngest EGOT winners and also became the first African-American man to snag that honor. 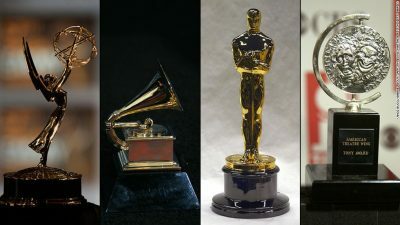 ‘EGOT’ stands for the big four awards in the entertainment industry: Emmy, Grammy, Oscar and Tony. John Legend has racked up 10 Grammys, starting with a best new artist win in 2006. In 2015 his song, ‘Glory’ featured in the film ‘Selma’ won an Oscar, and he received a Tony in 2017 for his role as a co-producer for the Broadway production of ‘Jitney.’ Legend, who also played the title role in the NBC musical special, celebrated his win on social media.